The female voice behind Set Me As A Seal and the cowriter of Sacred Silence, Jenny Pixler has been using her God-given gifts for years. This 11-song CD by Jenny Pixler in collaboration with Tom Booth features music in a wide range of styles including rock, funk, R&B, pop, blues and folk. The female voice behind Set Me As A Seal and the cowriter of Sacred Silence, Jenny Pixler has been using her God-given gifts for years. Originally from rural Arizona, she was influenced by rhythm and blues at a young age. In her teenage years she was mentored by the likes of Tom Booth, Matt Maher and Danielle Rose. It was through involvement in the Catholic community of Phoenix, Arizona that she discovered opportunities to sing at events such as Steubenville conferences, National Catholic Youth Conference and World Youth Day. In 2007 Jenny released her own solo record titled Invitation and was nominated for Best New Artist at the Unity Awards that same year. After the release of Invitation she studied liberal arts in Portland, Oregon, and while in school recorded vocals on numerous, diverse projects for Spirit & Song. 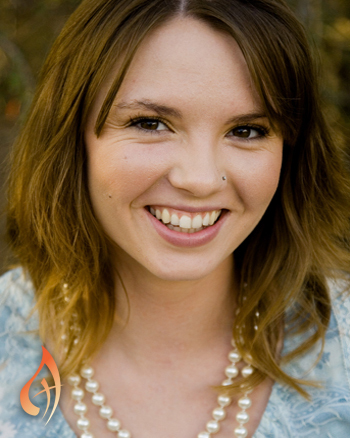 Since 2012 Jenny resides in San Diego, California where she has continued to share music and is witnessing to God's faithfulness. Jenny enjoys being a part of a vibrant Catholic young adult community, gardening, climbing trees, and working on her artistic craft.